This is another simple and easy recipe. I took me all of 5 minutes to put together and then 10 minutes to bake and voila – done! Spread out pizza dough in a greased jelly roll. Poke holes into the dough with a fork. Spread the melted butter over the dough. 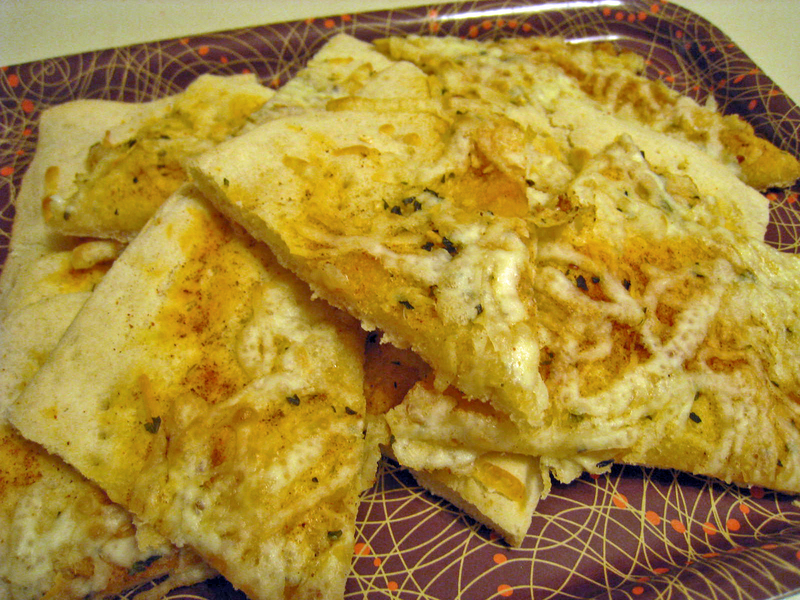 Sprinkle seasonings and cheese evenly over dough. Bake at 350 for 10-15 minutes or until dough is cooked and cheese is melted. Remove from oven and let rest a couple minutes before cutting.